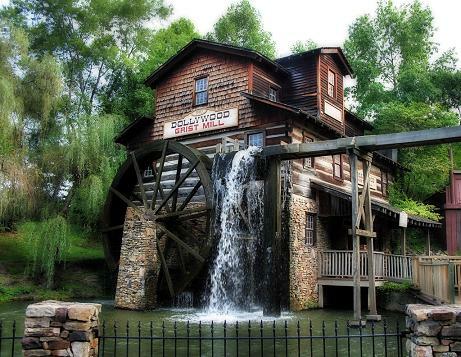 Dollywood Amusement Park is widely considered as the main attraction in the Sevierville, Pigeon Forge, Gatlinburg area and is, without question, one of the most popular vacation destinations in America. For decades, Americans have traveled to Tennessee's Smoky Mountains to enjoy their natural beauty, their unique environment, and their solitude. Today, you'll find not just peace and quiet, but also fun, glamour and excitement in a more people-oriented setting. True to its name, Dollywood Amusement Park is owned by music legend Dolly Parton. This unique amusement park attraction was created to express her vision and love for her home of Pigeon Forge. It is certainly not your run of the mill theme park. Sure…it has all the thrill rides that are standard in most of the popular parks these days. However, Dollywood is much more than that. It uniquely blend the amusements with the live venues of authentic Smoky Mountains traditions. Master craftsmen demonstrate centuries old trades including blacksmiths, glass blowing, wood carving and more. The musical entertainment showcases the best in country, bluegrass, mountain and gospel music with several stage shows. 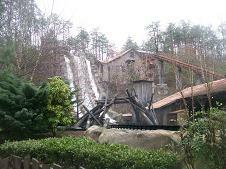 Dollywood has a very distinctive culture blended into the theme of the park itself that appeals to people of all ages. It’s the feeling of a simpler time that gives Dollywood Amusement Park its real appeal. It would be challenging to plan a family trip to the area without including a day at Dollywood Amusement Park. We planned to pick a nice overcast day, on a weekday hoping to miss the big weekend crowds. So on a Wednesday last summer the Sharp Family decided to spend the day and share our experience. Upon walking in, we glanced at the park map and noticed the huge variety of rides and attractions, and how everything is laid out in ten different areas. Dollywood Amusement Park is organized to reflect parts of Dolly Parton's life growing up. 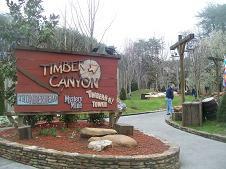 The ten themed areas are Showstreet, Rivertown Junction, Craftsmen's Valley, Village, Country Fair, Timber Canyon, the New Wilderness Pass, and Jukebox Junction, all reflecting the different realities and cultures of country Tennessee, and Dreamland Forest and Adventures in Imagination which reflect Dolly's rich childhood storytelling tradition and her imaginary life. *Adventures in Imagination - Dolly Parton Chasing Rainbows museum, imagination theatre and Dollywood Amusement Park reservation center. *The Village - Dolly's memories of Pigeon Forge as a child. 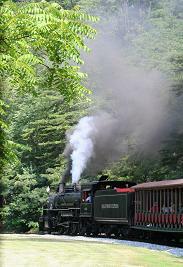 Alongside plenty of little shops, you'll find the Carousel and the main stop for the Dollywood Amusement Park Express steam train, an authentic coal-fired steam engine that takes you through five gorgeous miles of the Smoky Mountains. *Wilderness Pass - Themed to the time of Davy Crockett and Daniel Boone. 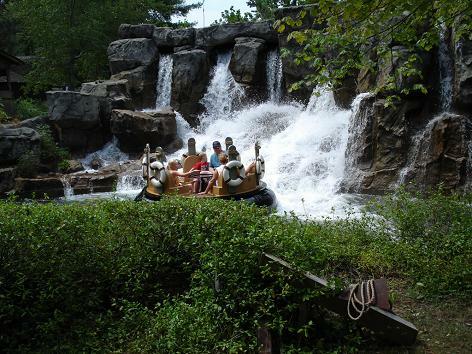 The new and exciting River Battle ride is located in the Dollywood Amusement Park along with some unique crafts. 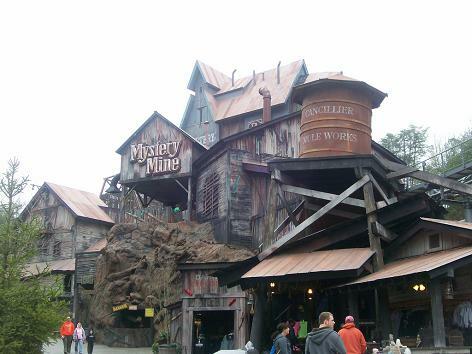 We then went to the Mystery Mine. As the name suggests, the ride leaves you wondering what turn or drop is coming next. It gets pretty dark in the abandoned coal mine, and look out for the 85 foot drop, it comes out of nowhere and does jerk you around a little. It slows down for a while and rotates you upside down on a loop so that you are laying on your back and the car is being pulled straight up into the air for an extra thrill. This ride was awesome! The family was getting hungry and it was around lunch time, so we began the food search. We didn’t have to search long. Believe me, at Dollywood, there is no shortage of good food. Southern cooking is an art form all its own at Dollywood Amusement Park. Like its namesake Dolly Parton, the Dollywood Amusement Park delivers the best in live entertainment. You can see shows that offer country, bluegrass, southern gospel, classic rock and 50's music presented by some of the best in the area. There are always at least three shows going on somewhere in the park at any given time, and impromptu music performances outside in the street could happen anytime. Many guests come to Dollywood’s Showstreet area for just this single area of entertainment. Not so long ago, the pioneers who settled here in the Smoky Mountains relied on the skills of the area craftsman to create many of life's every day necessities. Thanks to the unique culture of Dollywood Amusement Park you can still watch master craftsmen continue these centuries old traditions with daily demonstrations. Wow! Dolly must love to shop! With over 40 shopping locations spread all throughout the park, Dollywood Amusement Park offers everything from specialty apparel and home furnishings to handmade crafts and foods. We did manage to visit a few shops. It looked like one of the main attractions for shopping was the Dollywood Emporium. 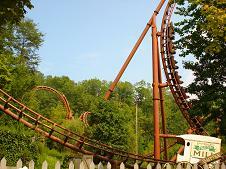 Tip #1 - Check the Dollywood Amusement Park website for current information and ticket offers. 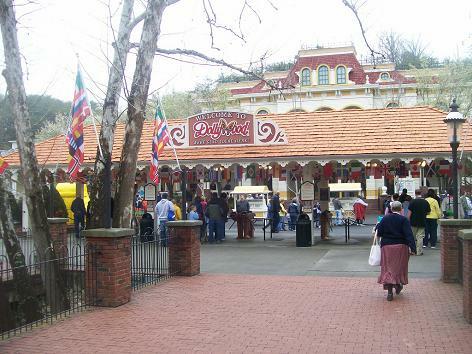 Tip #3 - Get to Dollywood Amusement Park as early as possible to beat the traffic, have best access to entrance, and avoid the long lines so you can experience the rides as many times as possible. 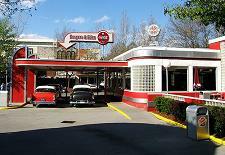 Tip #7 - If you want to avoid lines for lunch, grab something to eat at one of the Dollywood Amusement Park restaurants around 11:00 am or after normal lunch hours. Tip #11 - If it is raining when you leave Dollywood Amusement Park and your visit is shortened by the rain, you can request a Rain Check at the Season Pass Center. 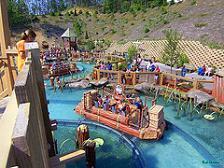 Overall, Dollywood Amusement Park is the perfect place to take your family. I can’t say enough about how friendly the staff was when we had questions and how clean the park is kept. As I said before, there is something for everyone of all ages, and you will not be bored one bit. You and your family are guaranteed a good time at this park, and you can’t put a price on good family fun! Time absolutely flies by when you are in this place. Before we knew it our day was over. You definitely need two days to truly experience all that the park has to offer. I felt like we got through a lot of the activities, but more likely we probably only got to see half of it. On that note, Dollywood does have special offers for guests who want to make it a two-day experience. After you purchase a one day admission, you have the option of purchasing the next day ticket for a really reasonable rate! As another option I would urge you to consider that Dollywood Amusement Park also offers the next day free if you entered the park after 3 pm. Here are some of the regular season admission options. 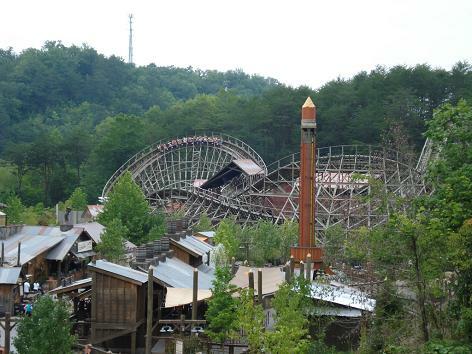 Dollywood Amusement Park is open approximately nine months of the year. The days they are open, the entrance opening time, and the departure time varies. We suggest you check the official Dollywood website for the exact daily schedule. Dollywood Amusement Park does have some rides with a minimum height requirement to ensure safety. To determine which rides are available, your child can get a color coded wristband which helps you and your children quickly identify which rides he or she is tall enough to ride. The coded wristbands correspond to the color coded information displayed on signs at each ride in the Park. We hope you enjoy your Dollywood Amusement Park experience as much as we did! Should you need information to plan your trip, or to find the best deals on area entertainment or lodging we have often found Reserve Pigeon Forge to be an excellent resource. 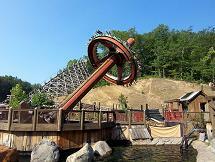 Dollywood Amusement Park is located right next to Splash Country with the opportunity to double your fun. The parks offer a money saving ticket option to play at both parks for a lower price than purchasing separately. The best deal is that the tickets are good for 3 days and not necessarily consecutive days. Off Interstate 40, take Exit 407 toward Gatlinburg / Sevierville / Pigeon Forge. Follow TN Hwy.66 South which becomes US 441. At Traffic Light #8 in Pigeon Forge, turn left and follow the signs to Dollywood Amusement Park. Check out the official website by clicking on Dollywood for more information.